Swimming is a great past-time for all ages. However, not everyone wants to get their hair wet. In fact, some of the chemicals in pools can actually be incredibly harmful to one's hair, especially if the hair has been treated or dyed in recent years. Don't think you have to wade and can't swim because you don't want to get your hair wet. 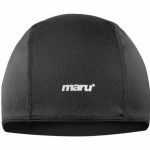 Instead, you should think about investing in swimming caps that make it so that you can go into the water without harming your hair. 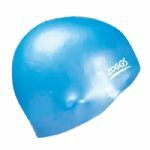 The following are some things to keep in mind when shopping for swimming caps. Size is everything when it comes to swimming caps. The cap needs to fit snugly around your head so that water is not allowed in. Additionally, you have to think about how much hair you need to place under this cap and whether or not it can hold it. 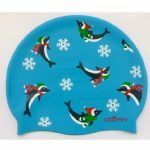 There are swimming caps for children and for adults: Keep this in mind when shopping for an item suited for your needs. Gone are the days when swimming caps were boring. Today's caps are incredibly bright colored, creative, and fun to look at. 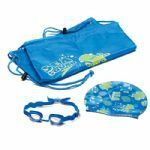 Explore all of your swimming cap options so that you can choose a model that matches your swimwear, eye color, or even your swimming goggles and nose clip. This is a chance to have some fun. 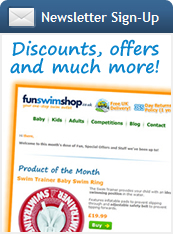 Take your time when it comes to selecting which swimming caps are best for you and your life. This is a chance to really select an item that will add something special to your life. Consider any and all designs, colors, and patterns so that you find one that brings added joy to your life. Soon, you will be swimming beneath the water without a care in the world!